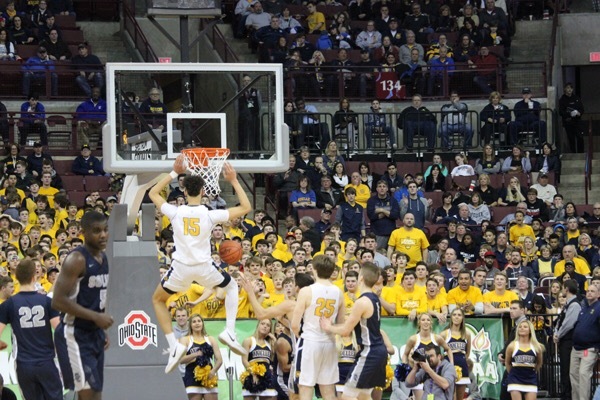 COLUMBUS, Ohio— All Solon could do as the final seconds were winding down was watch Archbishop Moeller celebrate a state championship. 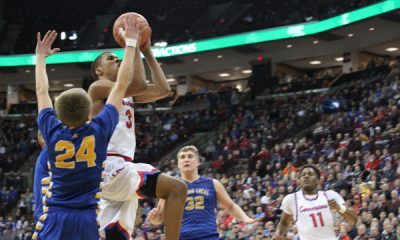 Solon fell, 83-65, on Saturday night in the OHSAA Division I championship. The season didn’t end the way the Comets wanted it to, but coach Tony DeCesare soaked in what it meant to coach a team like this year’s Solon team. Sincere Carry led the Comets during the loss, pouring in a team-high 27 points. Ryan Bergen scored 10 points with Nick Close, Mike Bekelja and Trent Williams scoring eight points apiece. As for the Crusaders, Jeremiah Davenport led the way Saturday night with 22 points, eight rebounds and five assists. Jaxson Hayes, Miles McBride and Alec Pfriem each had 14 points Saturday night. Archbishop Moeller was in complete control early on Saturday night. The 6-foot-10 frame of senior forward Jaxson Hayes limited the Comets getting to the rim, forcing them to rely on the long ball even more than usual. Carry led the way for the Comets in the first quarter as he scored all eight points for the team. They faced a 17-8 deficit after the first eight minutes. Moeller would stay in control during the second quarter. The Crusaders lead would ascend to as many as 16 points with just over three minutes left. Moeller used their size to their advantage, outscoring Solon by 22 points in the paint during the first half. The struggles from Solon carried into the second quarter. Carry held his own, scoring 17 of the team’s 23 points in the first 16 minutes. The rest of the team went 2-of-17 from the floor, failing to knock down open shots. The shooting struggles would give Moeller a comfortable 36-23 lead heading into halftime. 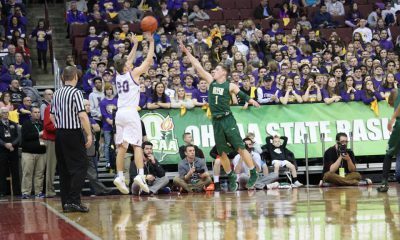 The Comets would climb back to a nine-point deficit with 5:38 left in the third quarter, but the Crusaders started to find their rhythm again soon after. Sincere Carry would pick up his fourth foul with just over four minutes left, forcing the senior to sit out the rest of the quarter. The lead would only increase from that point on, and the Moeller lead would be 20 points after three quarters. 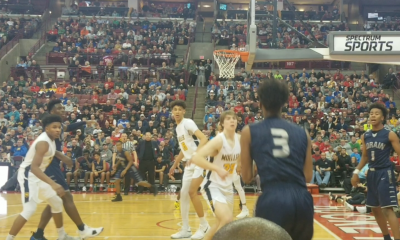 The patient offense from Moeller along with their defensive stops kept the game out of reach for the Comets, and Solon’s magical season would come to an end. Despite the loss, this season will go down in the record books for the Solon Comets. 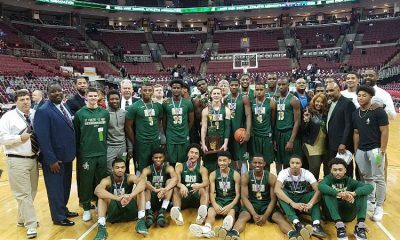 They finished the season with a record of 27-2, zero conference losses and a trip down to Columbus for the first time in school history. Solon will be graduating three seniors this season: Sincere Carry, Ryan Bergen and Justin Lumpkin. These three seniors have helped transform the Solon Comets into one of the best teams in all of the state. The message for them was simple, to embrace the legacy they will forever leave on the Solon Comet program. Please encourage the author of this story to pursue another line of work. Journalism major at CSU? Really? CSU should be embarrassed. I suspect he is not paid. At least I hope not. But, after reading several of his stories over the last couple months…..I have concluded it is SHEER TORTURE to read his work. By printing his work, you are giving the strong impression that you have no editor to review the work of your writers. Or, your Publisher has no pride in what he publishes. PLEASE, encourage this young man to pursue another line of work. Now. Thank you for what you do…..and for the good writers you have whose work is a pleasure to read!